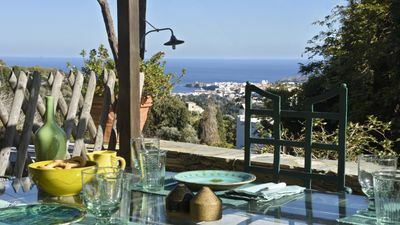 Villa Agrithea is located in Kastelli, Chania, Crete and can accommodate up to 6 persons. Feeling of fullness, close to cretan nature! 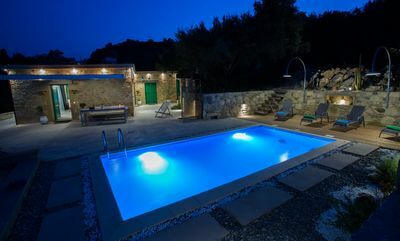 If you want to swim to famous beaches (Falassarna, Ballos, Elafonissi) or if you prefer to swim in the private pool, book it! NOTE: Available for long-term rent. Please send us a message. 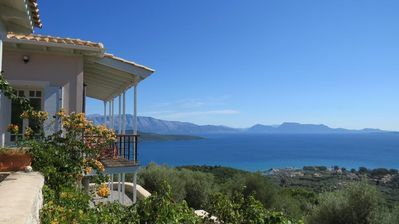 Villa Agrithea is located in a green land in Kato Palaiokastro, Kastelli, Chania, Crete. Cosy Villa can accomodate up to 6 individuals. During your arrival, as you will walk in the villa, you will meet the living room. At your right hand, you will see the fully furnished kitchen. 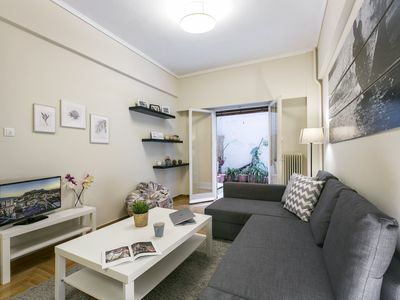 At your left hand, you will see a unique, relaxing and studying area with a lounge chair, cosy light to read your book and drink your wine! 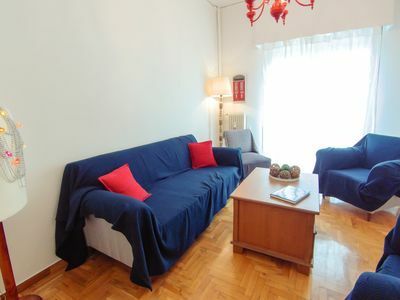 As you will walk through the living room, you will meet the dining table, the 4-person sofa. the TV and a small library. The kitchen includes: utensils, glasses, plates, oven, refrigerator-freezer, toaster, coffee maker and dishwasher. 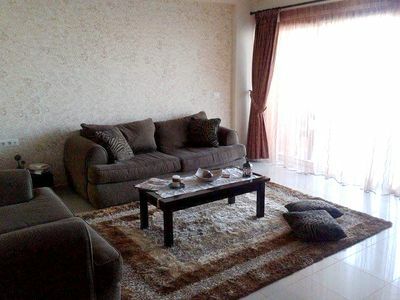 After the living room, you will have the opportunity to feel comfortable at the two bedrooms. Both of them include double beds, closets, mirrors. Between the two bedrooms, there is the full bathroom of the villa. 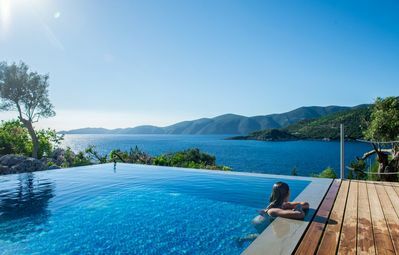 Outside pool is 22 square meters, with enough space around the pool for rest and enjoyment of the summer sun and your book! At your disposal, there is also a private and secure parking. 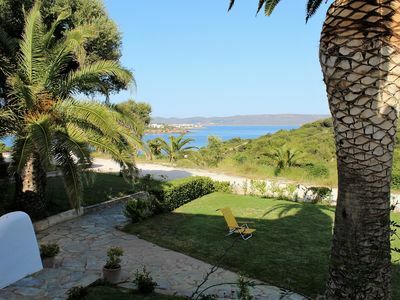 The nearest beautiful and clean beaches are located 4 km from Cosy Villa. You can visit Falassarna, Elafonissi and Balos beaches located nearby. 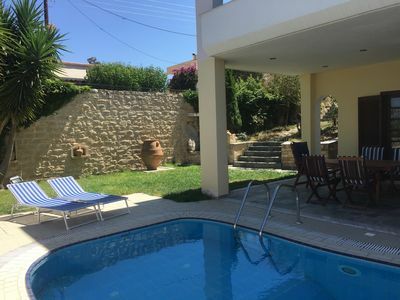 Our villa is located 2 kms from Kastelli City, 37 km from Chania City and 54 km from Chania International Airport. 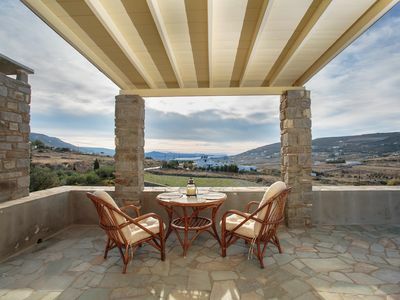 Of course, we are at your disposal for information on the area of the house or in general in our homeland, Chania. If you plan a romantic night with music under the cretan sky, then the outdoor dining table, next to the swimming pool will fit to you ideally! SPECIAL OFFERS: We are always looking forward to hosting great people. Make a many-days Booking at the villa and we provide to you a special discount! The villa is inside the Kato Palaiokastro Village. 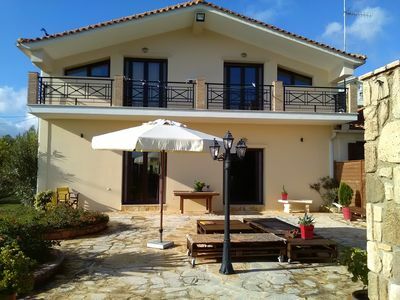 Furthermore, the villa is provided with heating, air condition in the living room and wi-fi internet connection. You can park your car at the private and safe parking area. 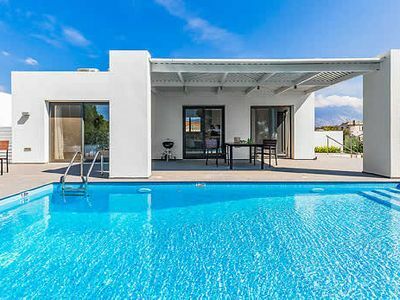 You will have access to the entire villa and its facilities. We respect the privacy of the guests. We will be present during the arrival and the departure of you, as guests. Last but not least, during the check-in, we will provide you with useful info or help about the area (beaches, daily tours, other places of interest). A white traditional "boutique" accomodation with emphasis on the traditional aesthetic, but with touches of modern amenities and services!!! Agrithea achieves a blending of island authenticity and luxury.In a panoramic position, the entrance offers breathtaking views. 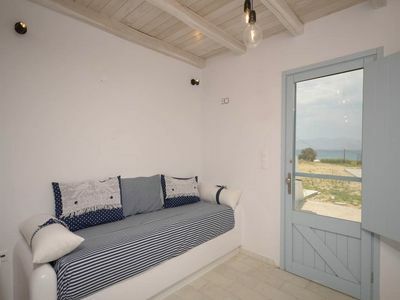 The cosy villa is within the Kato Palaiokastro Village, in quiet and easily accessible location. The neighbors are quiet. Most of them are residents or tourists who spend their holidays in their privately owned, holiday home. 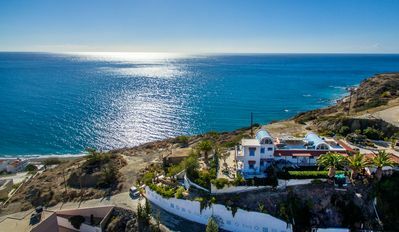 Kato Palaiokastro village is ideal if you want to explore the western Crete island and its famous sandy beaches like Falassarna, Ballos, Elafonissi. 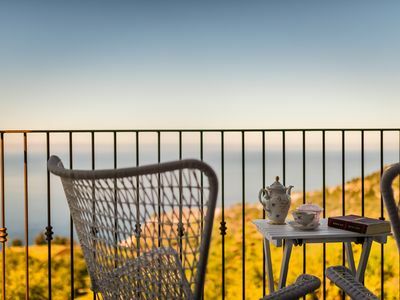 Alternatively, Cosy Villa is a perfect place to relax and enjoy the sun, your book, coffee and our hospitality! 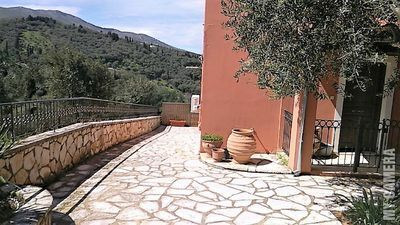 Very close to the Cosy Villa is Kastelli City, 3km from the villa. Kastelli is a tourist resort of Western Crete. It is located on the main coastal road and has almost everything that you may need like banks, super markets, restaurants, pharmacy shop. 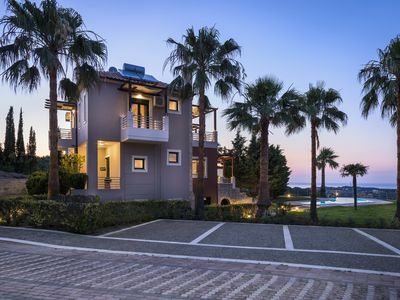 If you like busy nightlife, Platanias, one of the most popular destinations of the island of Crete, is only 10 km from Cosy Villa. Platanias is an ideal place for nightlife given the fact that includes many bars, clubs, restaurants! Car or motorbike is essential. Four kms from the Kato Palaiokastro village, there is a bus station where you can take the bus for all the major cities of Crete. 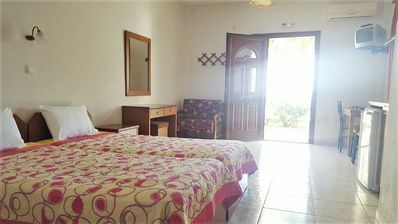 Three kilometers from the Villa, you can find Supermarket, Pharmacy, Gas Station, Health Center. In all, around the Villa, area, within 3 km, there are cafes, restaurants, banks. We will be grateful if you take care of the villa as we will take care of you! Luxurious villa AZURE SUNRISE 40m. from the sandy beach.